Interactively find soccer and other sports programs at NCAA member schools. Search by state, division, sport and other school information. 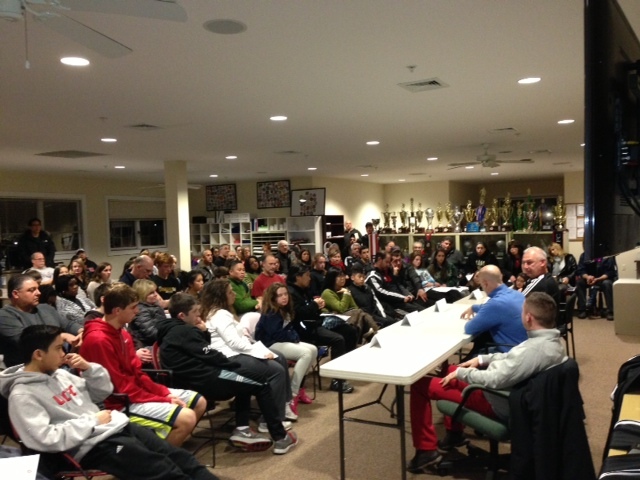 WCFC holds seminars on a regular basis for its players (U15 and older) and parents to review and discuss the college recruitment process. These sessions provide parents and players with information on how college coaches seek and communicate with potential players. Members of the WCFC staff will share their experiences with the players and help guide them through the process and answer all of your questions. The panel discussion will include coaches from Division I, II & III schools. 2014 - WCFC is pleased to announce Lorraine Aylmer will be joining World Class FC as our new Director of Academics. WCFC is committed to providing a first-class, professional environment for its players to develop on and off the soccer field. This new position at WCFC will help all of our players reach their full potential in the classroom. Lorraine brings more than 15 years of experience to our program as a Guidance Counselor at North Rockland High School. Over the years she has worked with many of our current athletes at WCFC, including her daughters who have played at WCFC. Lorraine is also a former collegiate athlete and was inducted into the Fordham University Athletic Hall of Fame as a swimmer and knows the demands that are placed on student athletes. She holds a Bachelors Degree from Fordham University and a Masters Degree in School Counseling and Education from Queens College. She has three daughters playing at World Class FC and has recently gone through the college recruitment process with her oldest daughter who will be attending Manhattan College in the Fall of 2014. Lorraine will be holding a series of counseling sessions through the season and will also be available to our players for one-on-one counseling sessions. She will be a valuable resources to mentor our players, assist in the college selection process and focus players on executing the steps they need to take to achieve success after their playing career has ended. Lorraine will also be working closely with our Coaching Staff to help students link their academic goals and achievements with the college recruitment process.